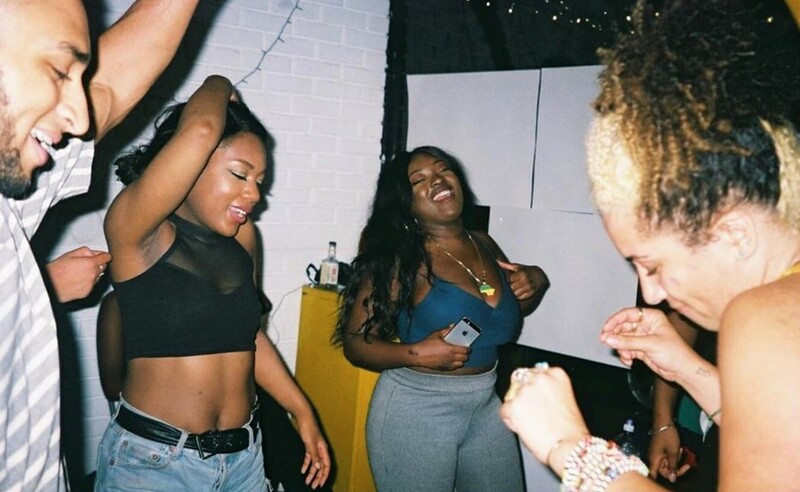 At the centre of every BBZ art party is the collective’s admirable drive to celebrate the works of queer people of colour and make them feel at home. On the description for their first event the collective, then made up of just two (Nadine Davis and Tia Simon-Campbell) wrote: “We want this to be a guest led experience, the house party you've always wanted to go to.” Over a year on, BBZ is its own community and the duo have welcomed in five other members to the group: Rabz, Rhea Dillon, Shy One, Yewande Odunubi and Dan Carrol. Next, they’re showcasing their ever-expanding projects for a four-day long programme of events at the Tate, a far cry from their small Deptford bar debut. “This year has been really exciting for BBZ. We’ve dipped our toes into so many different areas but we stay plotting and scheming,” says Davis. “The aim of these events is to imagine spaces that should be permanent for QTIPOC (Queer, trans and intersex people of colour) but aren't quite there yet.” As such the BBZ x Tate Exchange event starting December 14 covers a lot of ground. “Although nightlife has long remained an imperfect but required sanctuary for queer people, we deserve to see our lives portrayed outside of one particular narrative,” she adds. The Tate Modern will play host to a library of literature, Show and Tell zine exchange, as well as the debut BBZ. BLK. BK., a new online directory of QTIPOC artists. “The Cotch” is something that Davis describes as “a safe space for attendees to share their uncensored, musings and feelings in this current climate”. “It’s a response to John Akomfrah's “The Unfinished Conversation”,” she adds referring to a three-screen installation which opened at the Tate Britain in 2013. The free event will also include an interactive barbershop installation called TENDERHEADED which is accompanied by an audio documentary piece about being black British and queer. Kindred Kuts will bring this to life on Saturday – a limited number of haircuts will be available by appointment. With screenings on a large instalment named BBZ TV, the collective will showcase screenings of shorts from black queer womxn on desire while “Our Naked Truths”, a life drawing class centred on conversation and healing for femmes, will see the original duo model for the class. Look out for some familiar faces. Travis Alabanza, Munroe Bergdorf, Chloe Filani and Kai Isaiah-Jamal will discuss how the queer community can ensure the well-being of trans people of colour. And as usual, the BBZ DJs will close off the evenings with a party.